Pope Francis will visit the Auschwitz Extermination Camp this Friday. I am delving into what went on there. Here are a couple of books of interest on this subject. Note, neither book is morbid but well worth the read. 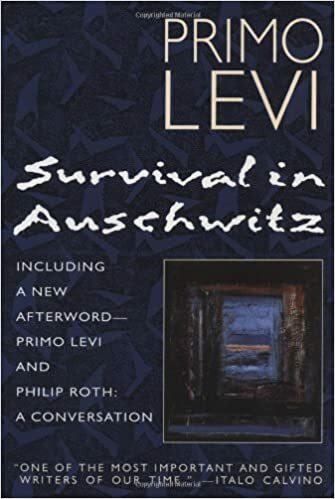 I read Primo Levi’s book first that tells his personal story of surviving for over a year in Buna-Morowitz Concentration Camp in Poland (Auschwitz 3). He is an Italian Jew chemist who survives by being chosen to work in the laboratory from which he could steal food and fuel for barter. The most harrowing part is perhaps the last chapter dealing with how several hundred sick prisoners survive a week in January after the departure of the SS and before liberation by the Russians. This is after 10,000 “healthy” prisoners are marched off to the west by the Nazis, never to be heard from again according to the author. There is not a lot of mention of the gas chambers nor of God in this book. Nevertheless it is a classic for the way it describes what happens to man when all comfort, hope, compassion – humanity in short – is removed from one’s life. For example, those who kept asking questions or tormenting themselves about their condition, tended not to survive. Those who deadened themselves to all feeling, obeyed and guarded their light, tended to survive. Arbeit Macht Frei – Work Makes Freedom (the sign over the gate at Auschwitz 1). I liked the sprinkling of German and French words used in the text. e.g., Jawohl, Komandant! (Aye, sir) and Musselman (Muslim) for someone who had given up. Tour de force or masterpiece does not do this book justice. A 20th century work of art comes closer. Highly recommended read for people of all ages! I really liked it, 9 out of 10. 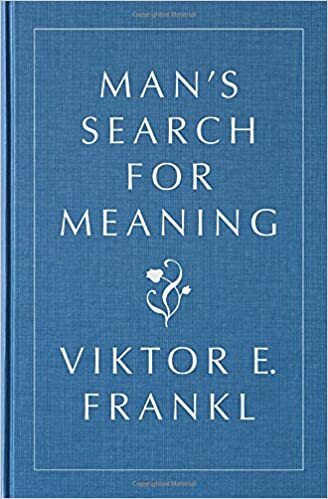 The 2nd book by Frankl – Man’s Search for Meaning is different. Victor Frankl, an Austrian neurologist and psychiatrist also survived Auschwitz. He was able to survive partly because as a doctor, he was given higher value work and somewhat protected by the camp medical staff. He is the founder of “logotherapy”, a form of existential psychotherapy. The latter half of the book explains this therapy in detail. His basic thesis is that we should ask not what life means as there is no definitive answer to this. Rather, it is in the fulfilling of what life presents us with that each finds the unique meaning of life for us. He cites the example that every so often, a prisoner would refuse to get out of bed in the morning. No matter how firmly beaten, they would lie there in their own excrement. They had simply stopped living i.e., refused to fulfill what life was presenting them with. Predictably, they would die within 2 days. I would rate this book a 7 out of 10. Depends on what you are looking for I guess.